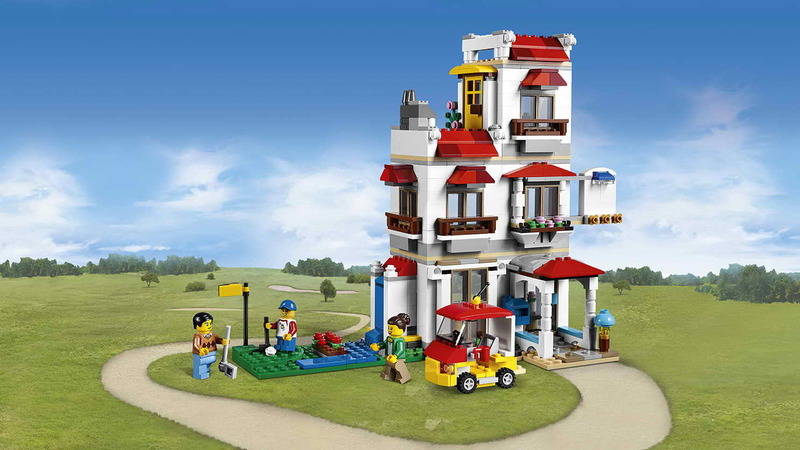 can be built into a family villa, a golf hotel and a summer villa. 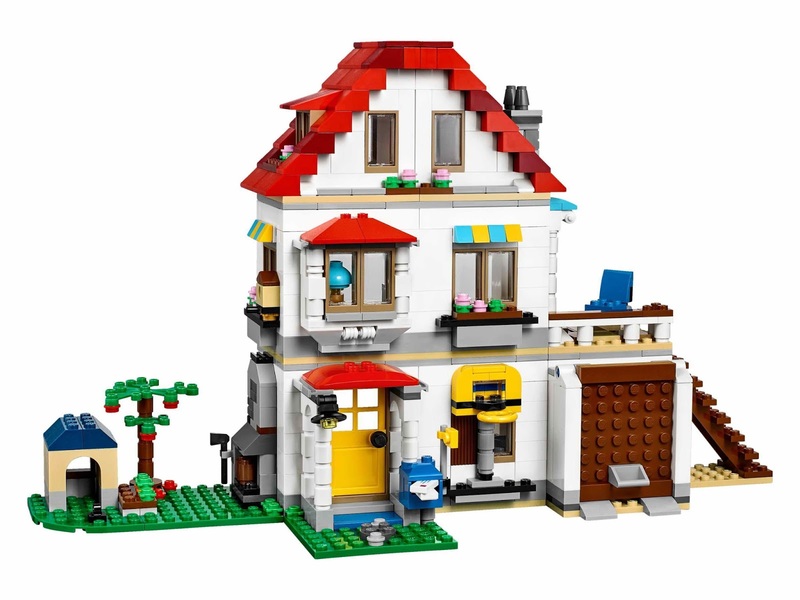 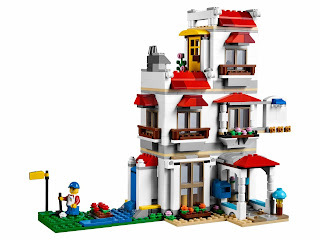 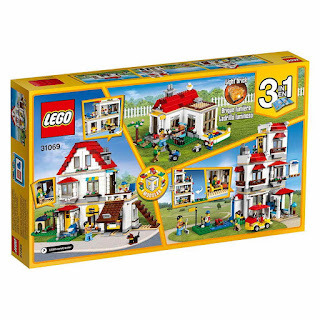 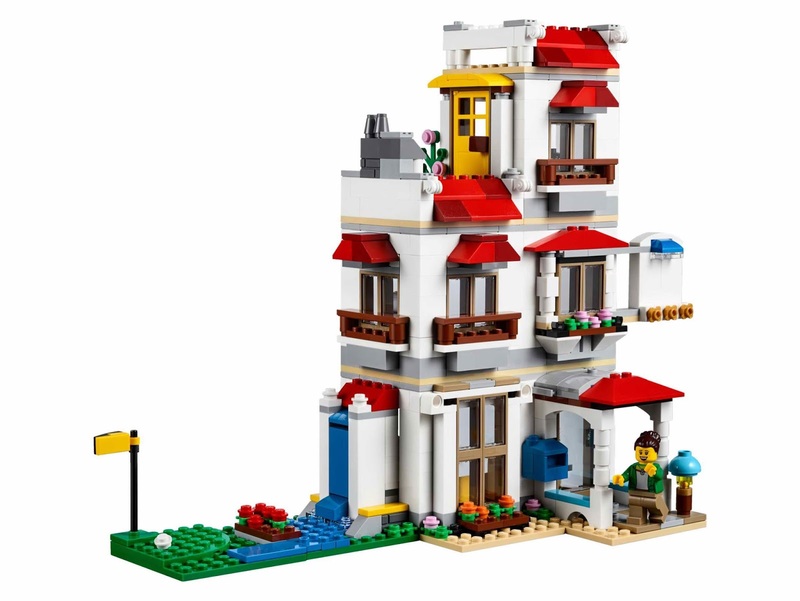 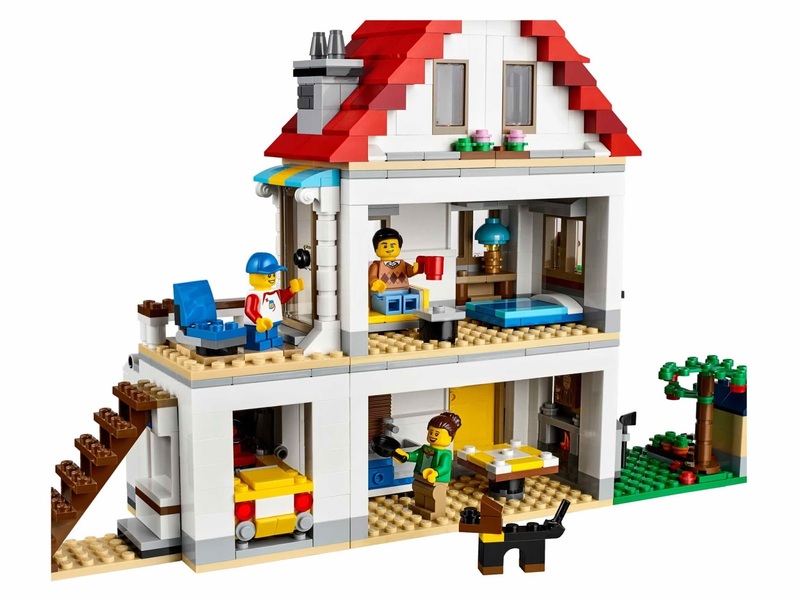 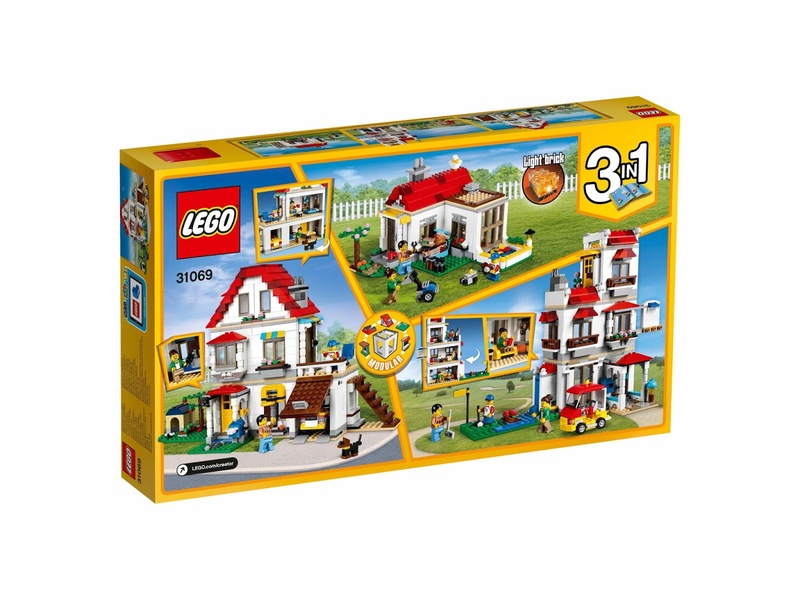 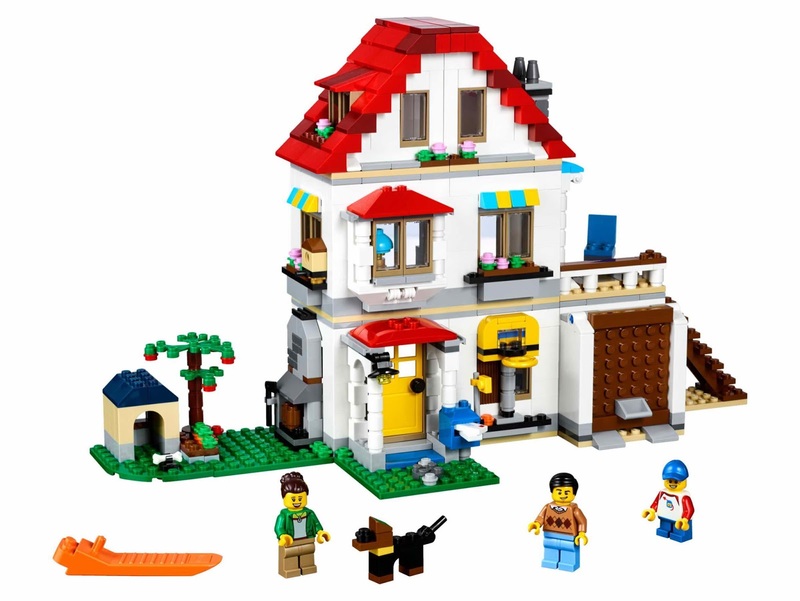 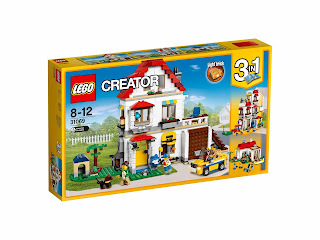 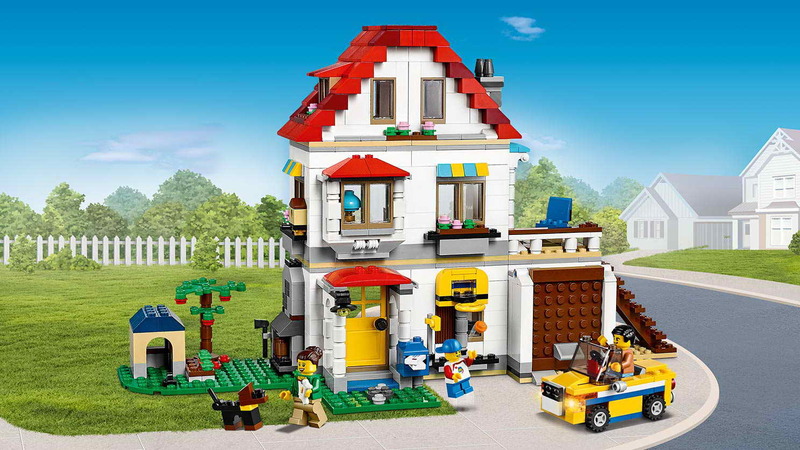 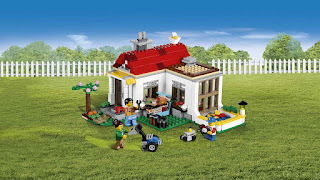 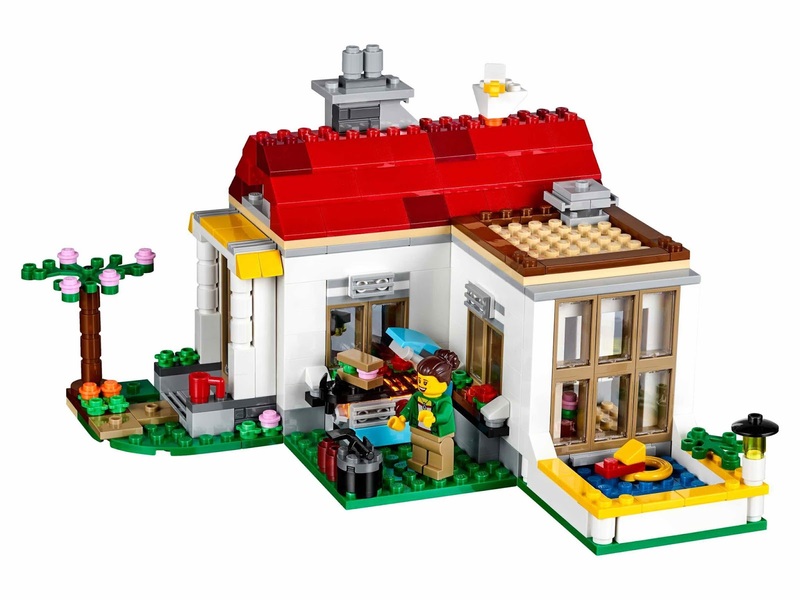 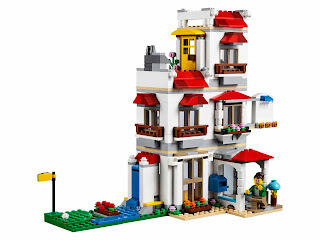 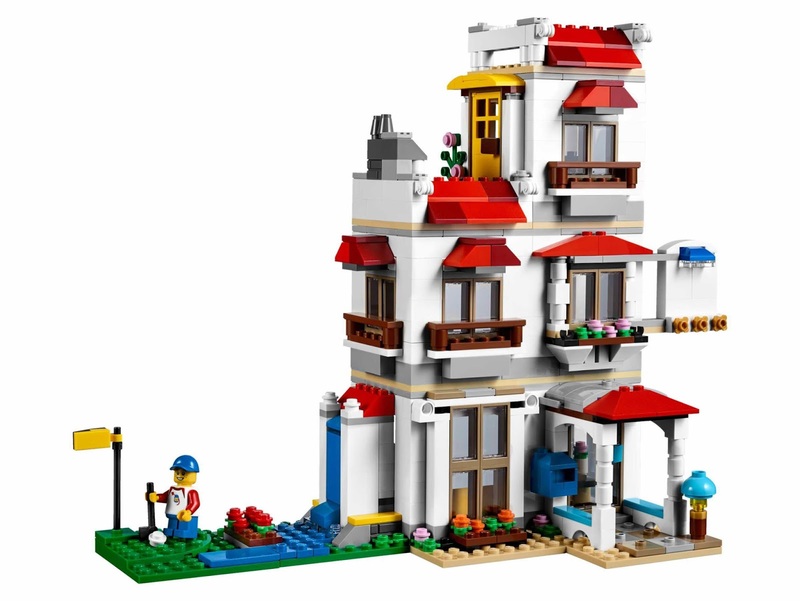 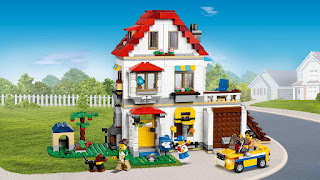 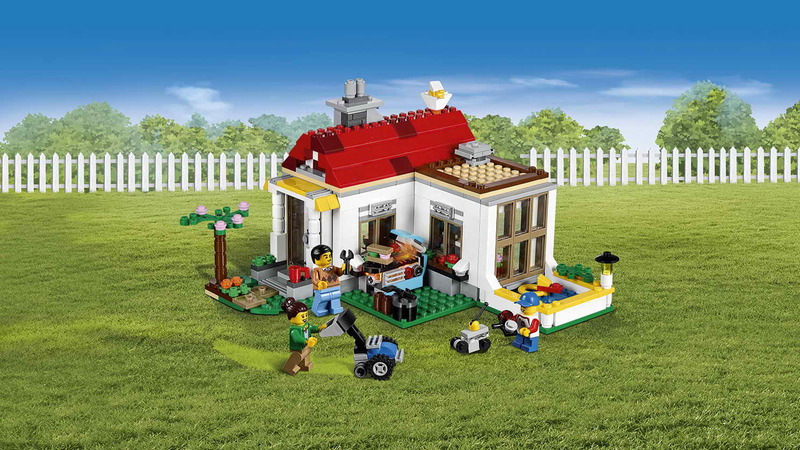 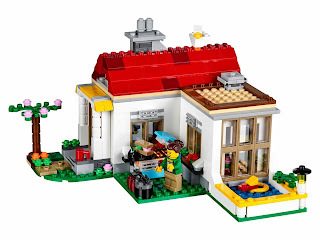 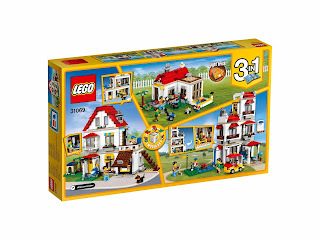 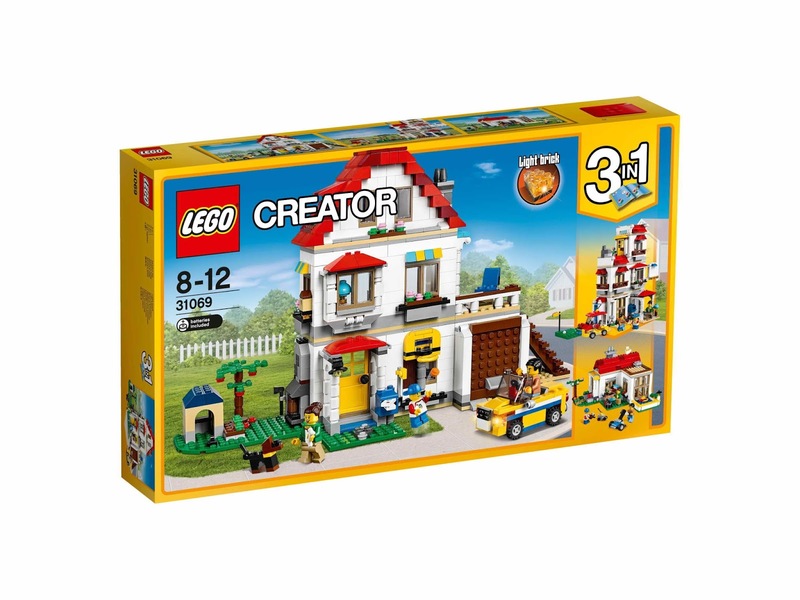 the family villa has a red tiled roof, a white facade, windows, a garden area, a tree, a basketball hoop, an outdoor fireplace, a mailbox, a doghouse, an outdoor stairway, a tiled mid level terrace and a sun lounger. 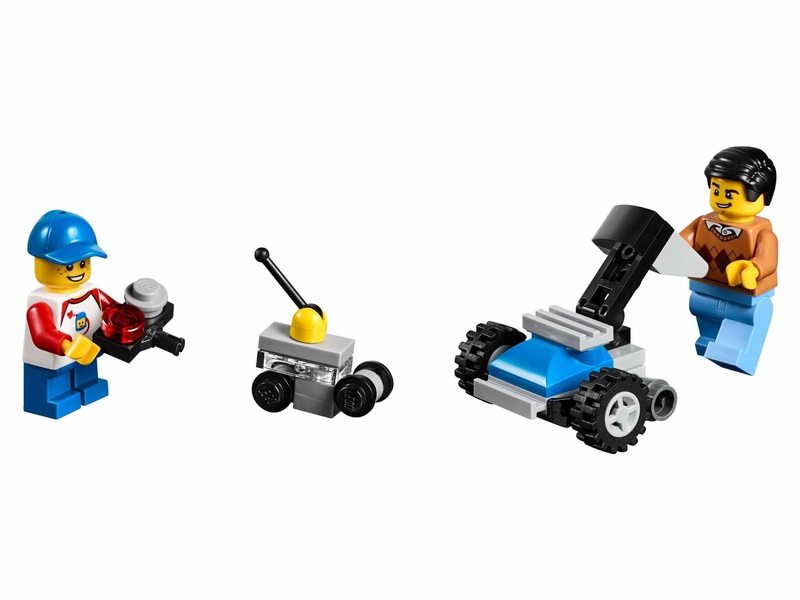 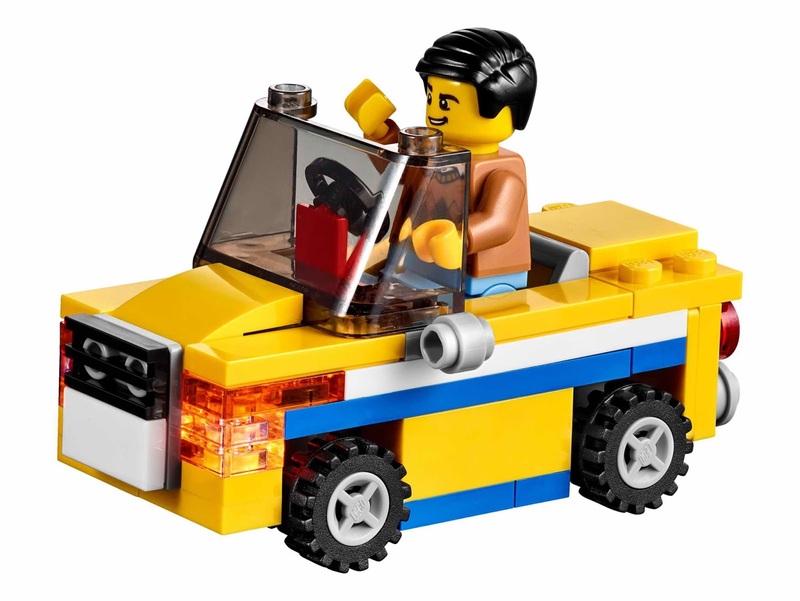 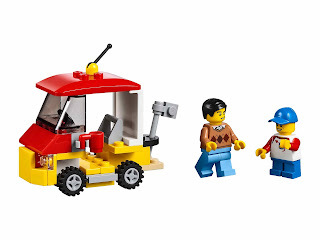 minifigs included a male minifig, a female minifig and a boy minifig.